The iconic Jullien’s Golden Carp, Probarbus jullieni,and Thicklipped Barb, Probarbus labeamajor are two of the largest freshwater fishes in Southeast Asia, and are both listed as endangered on the Red List of the International Union for Conservation of Nature (IUCN). Both Probarbus species are under serious long-term decline, likely due to fishers targeting and catching the fish during their spawning period before they can reproduce. Fish Conservation Zones (FCZs), or areas that are closed to fishing, can be used to protect important habitats and can allow fish populations to rebound. 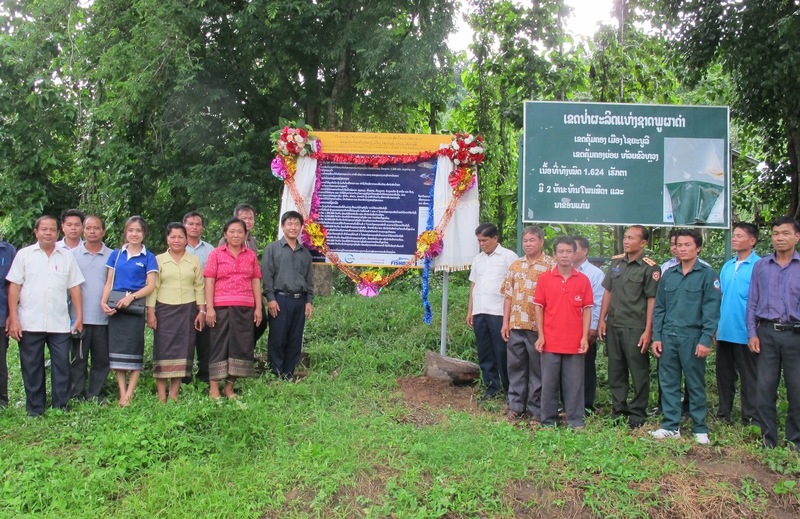 FISHBIO is currently working with three villages in northern Lao PDR to establish three FCZs that encompass Probarbus spawning and refuge habitats. 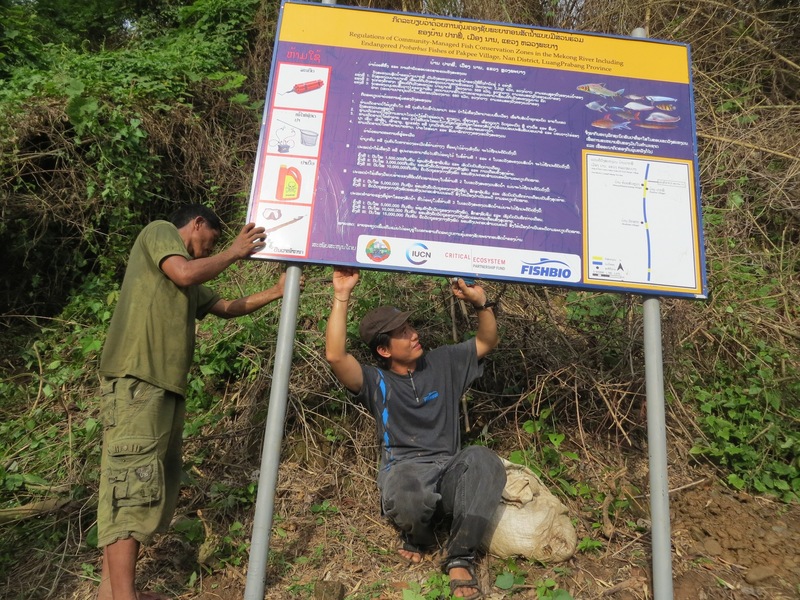 These areas will be closed to fishing year round, and represent the first FCZs on the mainstream Mekong River in Xayabouri and Luang Prabang provinces. 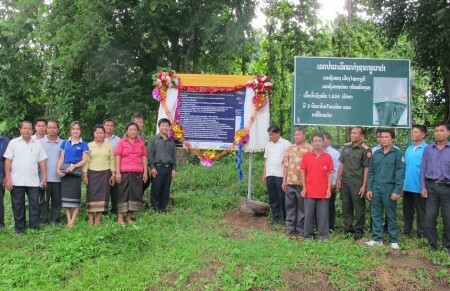 FISHBIO previously joined a team led by IUCN that laid the groundwork for this project through biodiversity surveys and village workshops in the project villages. Community members identified previously undocumented Probarbus spawning habitats in the region, and, with assistance from project leads, drafted community regulations for FCZs. Now, with a grant from the Critical Ecosystem Partnership Fund, FISHBIO is working to secure government approval of these regulations to officially recognize and establish the FCZs. Other project activities include installing signs to mark the no-fishing boundaries and display the protected area regulations of each FCZ. We are also training village management and enforcement teams how to monitor and enforce the conservation regulations at each site, especially during the Probarbus migration and spawning season from December to February. These FCZs are community-managed efforts, and the project is building the capacity of local communities to oversee the sustainable management of their aquatic resources.